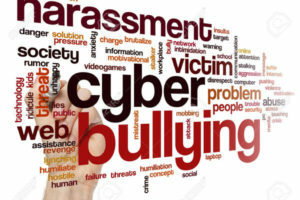 Kids who are being cyberbullied are often bullied in person as well. Additionally, kids who are cyberbullied have a harder time getting away from the behavior. Cyberbullying can happen 24 hours a day, 7 days a week, and reach a kid even when he or she is alone. It can happen any time of the day or night. Cyberbullying messages and images can be posted anonymously and distributed quickly to a very wide audience. It can be difficult and sometimes impossible to trace the source. Deleting inappropriate or harassing messages, texts, and pictures is extremely difficult after they have been posted or sent. Talk with your kids about cyberbullying and other online issues regularly. Know the sites your kids visit and their online activities. Ask where they’re going, what they’re doing, and who they’re doing it with. Tell your kids that as a responsible parent you may review their online communications if you think there is reason for concern. Installing parental control filtering software or monitoring programs are one option for monitoring your child’s online behavior, but do not rely solely on these tools. Have a sense of what they do online and in texts. Learn about the sites they like. Try out the devices they use. Ask for their passwords, but tell them you’ll only use them in case of emergency. Ask to “friend” or “follow” your kids on social media sites or ask another trusted adult to do so. Encourage your kids to tell you immediately if they, or someone they know, is being cyberbullied. Explain that you will not take away their computers or cell phones if they confide in you about a problem they are having. Join our free workshop “Stand Up Against Bullying”. This entry was posted in Blog, News and tagged Balance Martial Arts, free martial arts workshop, karate cary, karate morrisville, kids karate cary, kids karate morrisville, kids martial arts cary, kids martial arts morrisville. Bookmark the permalink.